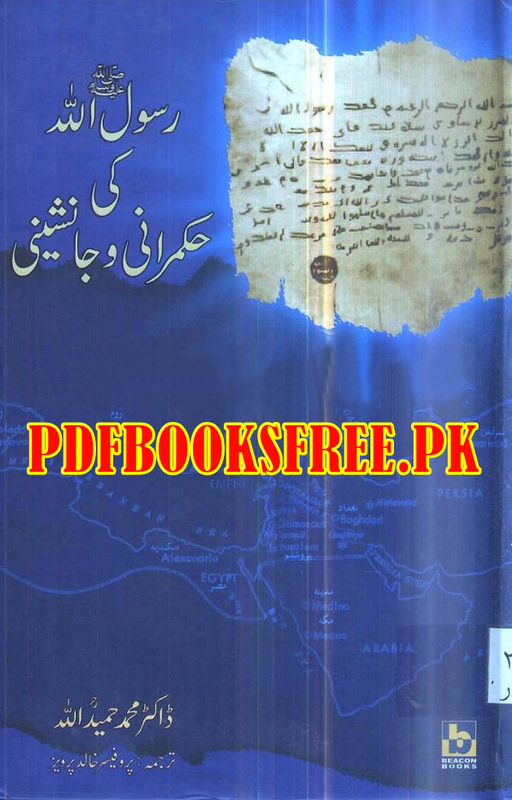 Rasulullah s.a.w Ki Hukamrani Aur Janashini by Dr Muhammad Hamidullah. 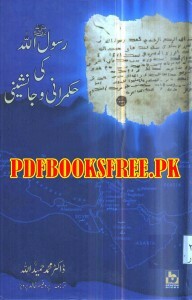 The Prophet’s Establishing a State and His Succession book translated into Urdu by Professor Khalid Pervez. This book described anew study on how the Holy Prophet PBUH founded a State, how he governed it and how its continuity, through succession, was assured. The Quranic conception of the state. Conception of State in Islam. The Prophet as a Statesmen and His Treatment of Non-Muslim subjects, and its fruits. Budgeting and taxation in the time of the Holy Prophet (PBUH). Financial administration in the Muslim State. Constitutional Problems in Early Islam. 1400th Anniversary of the war of Banu an Nadir. The Teleguided battels of Jamal and Siffin. The episode of the project of Written-Testament by the Holy Prophet (PBUH) on His Death-Bed. Both Urdu and English version of this book is available here for reading and downloads. Click on the following links to read online and download the complete book in Pdf format for offline reading and references.